…or at the very least indulge mine. I’ve been MIA lately. Oh…you noticed? Sorry. See, I have this terrible habit of wandering away from my blog on occasion because I get distracted by something else. It could be the kids’ activities. Could be that I go on a scrapbooking or baking binge. Sometimes I just lose heart because I feel like I have nothing interesting to say. This time it’s a combination of a lot of things. We had a lot of activity here in November and early December. Hayden turned six on the 23rd and Johnny’s brother Jamie came to visit for the first time since Hayden was a baby. We greatly enjoyed our visit with him, especially Thanksgiving day. I know, we’re Canadian and our Thanksgiving is supposed to be in October, but Johnny and I celebrate the American Thanksgiving to honor our many American friends. Since we can’t be with them on that day, we at least feel as if we’re connected with them somehow. Then Silas turned four on December 5, and two days later…the inner geek was unleashed. That’s right, Blizzard Entertainment released their third expansion for their popular World of Warcraft universe and this gamer geek went nuts. I’ve been playing this game since about a week before the release of their first expansion, The Burning Crusade, almost 4 years ago and when the announcement came for the latest expansion pack the wheels went into motion in preparation for its release. I am the guild master of a raiding guild on the US server Sisters of Elune named <In Before Nerf> and we started gathering our members back together. In the last few months of Wrath of the Lich King, we had scattered to different guilds and different servers – some of us even switched from the Horde faction to the Alliance – and it was time to “get the band back together”. Boy, did we ever. We put out the call and they all came. “Dagonda” returned from the new realm he’d transferred to in order to level a warrior that he’d abandoned. “Aggie” and “Rak” returned from their new server. “Sineras”, “Pale” and “Xinner” took new interest in their characters, which is exactly what Johnny and I did. 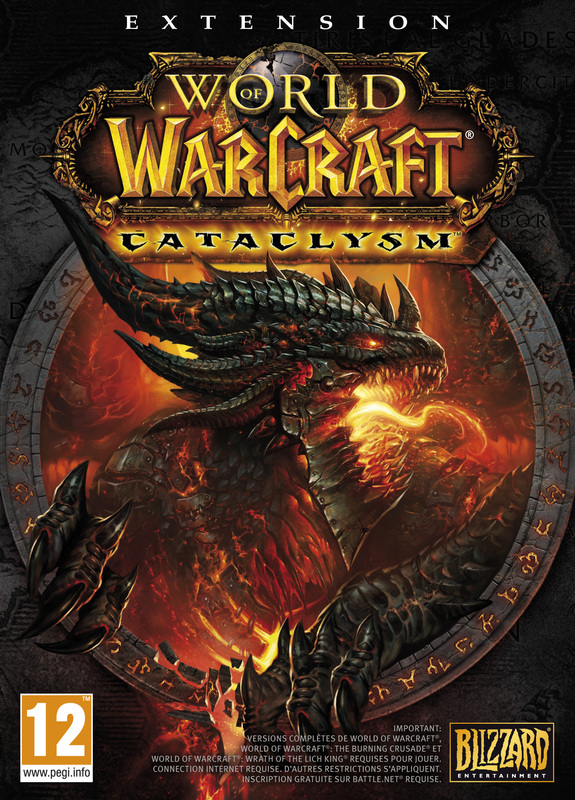 “Inissa” returned to the game after a long absence, and “Olumin” just finally gave in and admitted that he was just as excited for Cataclysm as we were. It was like getting the band back together. Here’s a little tidbit of info about <In Before Nerf>: Our guild chat is NOT for the faint of heart. We’re an 18+ guild for the simple fact that about 99% of our members have no brain to mouth filter. And Aggie has turned that into something beautiful. She had the brilliant idea to start a guild blog and she and I co-write it. It’s mostly tidbits from our chat logs that we share with everyone, and I’d like to share it with you. Check us out at In Before Nerf and prepare to laugh. A lot. Hard. And now that you know I’m a huge geek, I’ll try to be normal in my next post. I must have a bazillion songs on my mp3 player. Okay, not really but I do have a lot. Today I was told to set my playlist on random and share the first ten that play. So here goes. So what I’ve learned from this is I have a broad range of music tastes…and maybe a few too many Lady Gaga songs. WARNING: If you are not a World of Warcraft gamer…you probably won’t understand half of this. Grab a teenager/gamer geek and ask them to translate. As I’ve mentioned in my profile…pretty much everywhere, I’m a gamer. Hubs and I took up World of Warcraft shortly after Silas was born and honestly it saved my sanity. As a stay at home mom (especially with a newborn back then) I didn’t get out much and the social aspect of the game kept me from losing my mind. I played several different characters, but the one that embedded itself deepest in my heart was Camdyn. My blood elf priest. Come American Thanksgiving, World of Warcraft will be celebrating “Pilgrim’s Bounty” and with a little luck the twentieth title will be “Pilgrim”. Wish me luck!